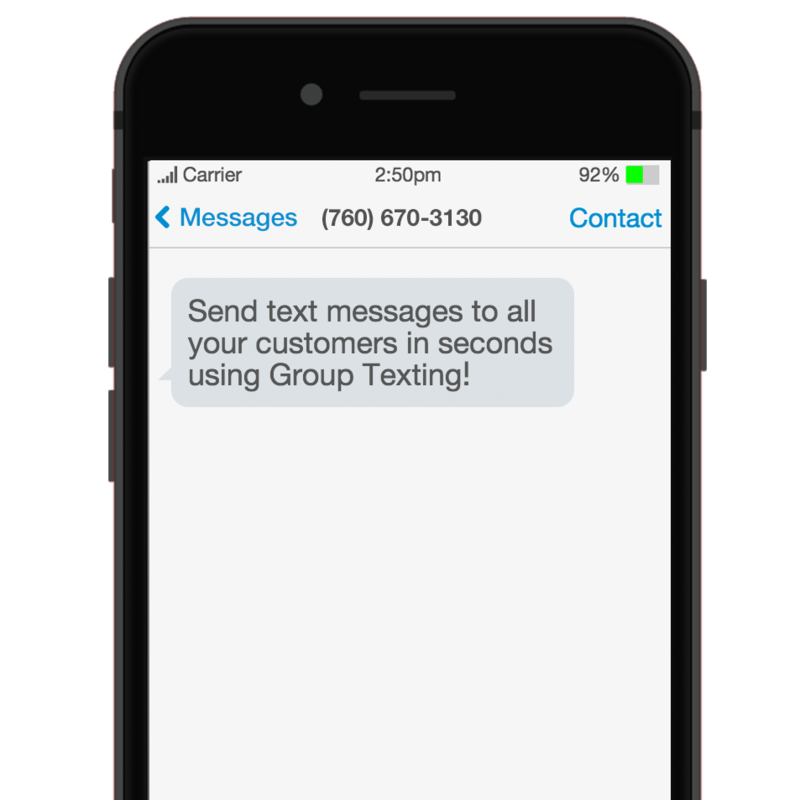 Text message blasts are an affordable web-based SMS texting service that allows you to easily and simultaneously send text messages to a large number of cell phone users utilizing an automated messaging system. It is one of the most effective ways for businesses to connect with customers, increase engagement, and raise brand awareness. How are Businesses Using Text Blast Marketing? Text blast services have been on a meteoric rise leading to the majority of businesses now having a mobile marketing strategy in place. The mobile phone grows with importance every day, as does its list of capabilities and functions. From listening to music and watching videos, to playing games and even starting your car, you can do anything and everything on these devices. This makes the mobile phone a powerful marketing tool that is vital to be taken advantage of if you want to thrive in today's technologically-driven society. You should send SMS text blasts because it's where a majority of your customers are already hanging out at. That's why it would be impossible to over emphasize the importance of meeting your target market where they are. There's never been an easier or more convenient way to reach your customers and grow your audience. Pair that with the fact that smartphones continue to increase in popularity across the globe, and the numbers speak for themselves. If you are learning how to do a text message blast, you're first step is to sign up with an SMS texting provider. Many service providers, such as Group Texting, will offer a limited time free trial for you to test the waters and get a feel for the benefits mass SMS texting provides. From there, you'll be presented with a variety of monthly package plans that you can choose from based on your individual needs. Any business that schedules appointments can benefit from SMS texting. Whether it be a doctor's office, medical spa, auto body repair shop or hair salon, utilizing texts will be much more effective than an auto-dialer and will save you a significant amount of time instead of making those reminder calls manually every day. Send out emergency alerts that customers or clients need to be aware of, or send out non-emergency-related alerts that notify individuals about a temporary change in business hours, scheduling changes, weather delays, cancellations, new products, or anything else they should be aware of. Coupons and incentives are a great way to build your contact list by enticing them to receive a special discount. This is also a great opportunity to attract customers to your business on a slower day, or bring them back in as a repeat customer. Text blast software is also a great way to gather information about your business and see the results. Ask your customers what their favorite product is or what they'd like to see more of. SMS texting platforms provide the ability to receive inbound messages from customers, which is an invaluable medium for receiving critical feedback and suggestions relating to your business. In a mobile-first, always on world, text blast marketing is proving to be an essential tool in every business owner's toolkit, regardless of the industry. SMS messaging is how your customers want to communicate with you, therefore realizing its' magnitude will get you one step closer to enhancing customer experience and amplifying brand loyalty. Make them aware of what type of messages they will receive. You don't want them to be blindsided and as a result, end up un-subscribing from your service. Avoid sending texts all the time. Aim to keep it around 2-4 texts per month to avoid customers developing a poor attitude towards your business. Associations affiliated with the wireless communication industry require you to include related text such as, "Msg & Data rates may apply". Add this to your auto reply so you don't find yourself in any trouble. Subscribers should be aware that they can opt-out if the content being sent is not what they were looking for, or if they are no longer interested. This will help maintain a good brand identity. Be courteous to your subscribers and only send messages during normal business hours. You'll most likely want to inspire immediate action from your customers, therefore sending at the right time will ensure your efforts are responsive. If customers are giving you permission to text them, you'll want to make sure you are giving them something beneficial in return. Avoid duplicating campaigns and aim to differentiate each message you send. Marketers have already adopted text blasting, don't fall behind! Interested in trying Group Texting for free? Sign up for a free trial to get started today!